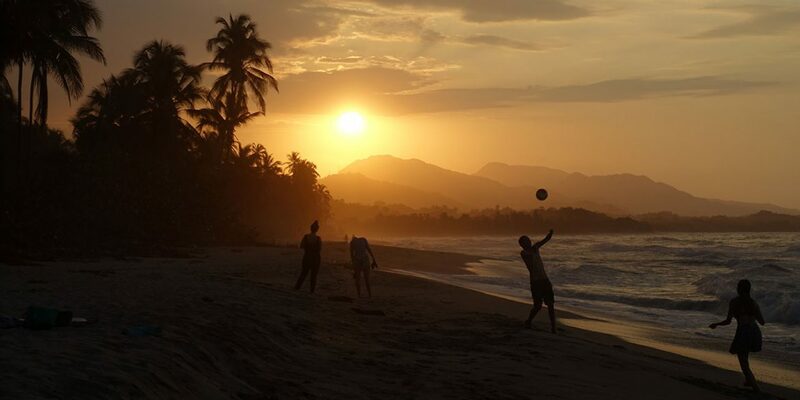 Costeño Beach is Colombia’s slice of tranquility for those keen to avoid the swaths of travelers that make their way to nearby tourist hubs on the Caribbean coast. 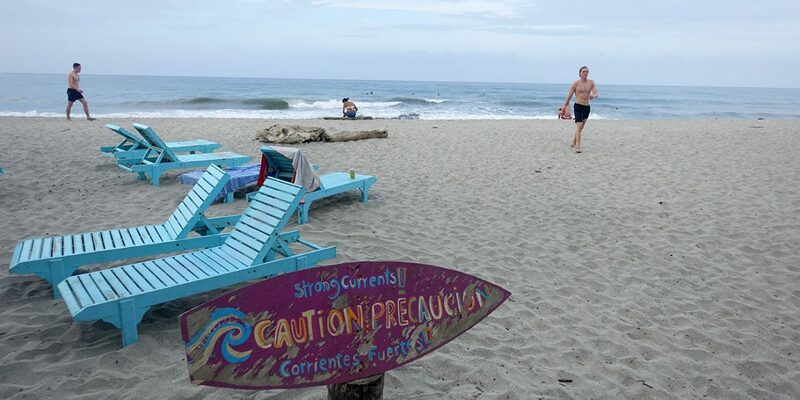 Located just seven kilometers outside the jungled gates of the iconic Tayrona Park, Playa Guachaca, or Costeño Beach as it’s unofficially known as, has grown from a little-known surf spot to a place for young backpackers to unwind by the water. The four-kilometer coastal strip runs between the Mendiguaca and Guachaca rivers in the nation’s Caribbean province of Magdalena. 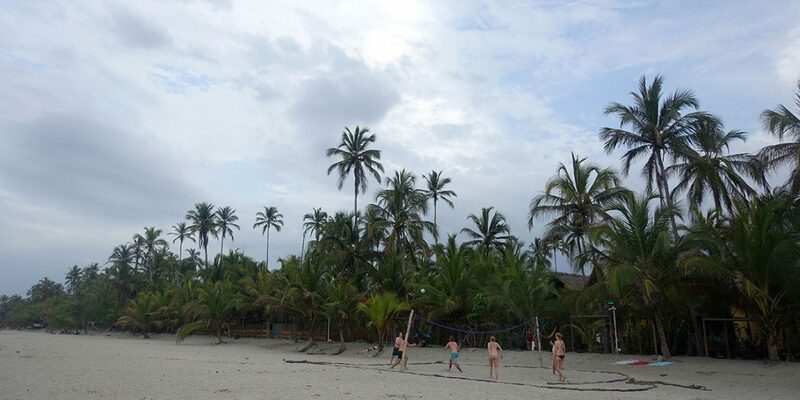 With only a handful of hostels and eco-lodges, the relatively-unknown beach spot has been used as a getaway from the hustle-and-bustle of nearby attractions, Tayrona Park and the province’s capital, Santa Marta. 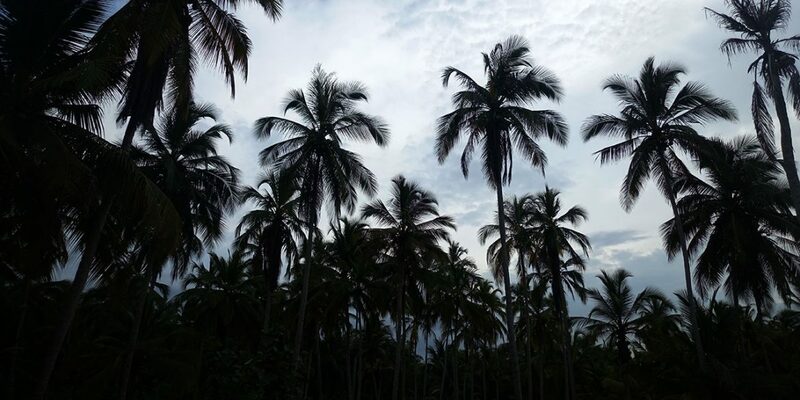 The coastal strip is characterized by lush palm trees, postcard sunsets and a spot for surfers to enjoy the warm waters, with average water temperatures sitting at a cozy 27 degrees Celsius. While beginner to intermediate surfers revel in the strong currents, swimmers tend to find it more difficult to negotiate the notoriously choppy conditions. Canadian brothers Colm and Brian Rea, who run the strip’s main hub, the Costeño Beach Hostel, saw the surfing spot’s potential to grow into something more. We started giving classes, buying and renting out surfboards, and we saw the potential of the area for practice. One day we got our hands on a good slice of land and bit by bit we began the construction of the camp. The people in the area helped us a lot. 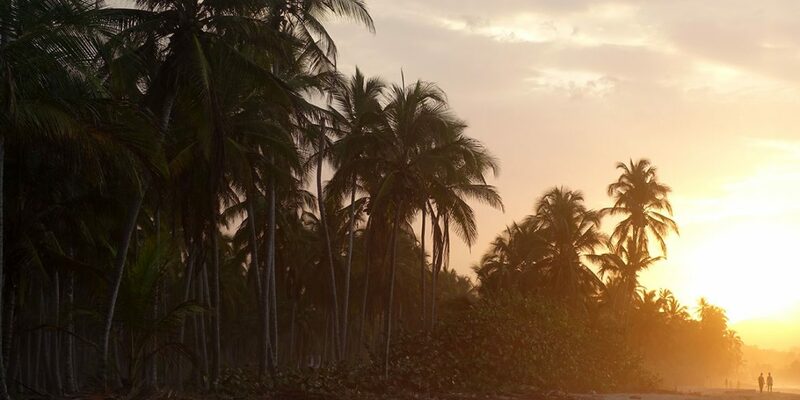 Costeño Beach is in the middle of an area dominated by diverse landscapes, situated just 32 miles north of the Sierra Nevada mountain region that covers 6,600 square miles, an area more than twice the size of Puerto Rico. Further east of the coastal strip, La Guajira is known for the natural phenomenon where the desert meets the sea, while west of Costeño Beach is the aforementioned Tayrona Park, where some of the country’s most stunning beaches and exotic wildlife can be found, such as jaguars, alligators, and frogs that have enough venom to kill ten fully-grown adults.